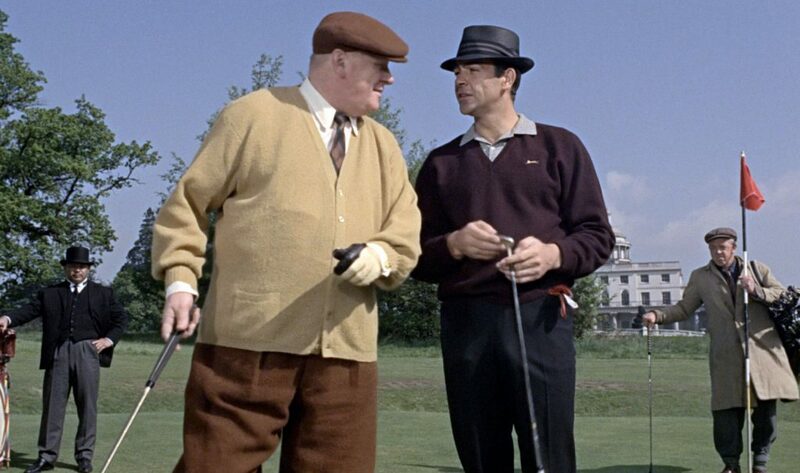 The movie Goldfinger (1964) was significant both for the James Bond series and for Slazenger, as it contains the famours golf scene where Sean Connery wears the Burgundy Legend Jumper when playing against Auric Goldfinger (Gert Fröbe), the villain in the movie. 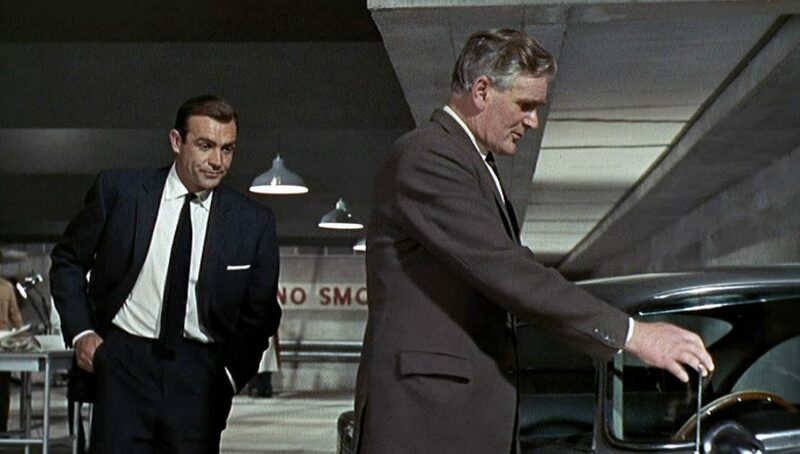 In Goldfinger, the agent 007 has to deal with Goldfinger, an evil tycoon who smuggles at a international scale and is fascinated by gold. In the course of investigation, James Bond will hear of an operation called Grand Slam, what apears to be a plan to destabilize the global economy. As in every movie, James Bond will have to stop it. Golfinger was the third James Bond movie, and it became a template for all the following movies. It was the first movie where Bond relayed heavily on technology, and also the first where Q showed gadgets in developmet. It also was the first one to have a pre-credits scene, little connected with the principal plot. The basic structure was also repeated, having a henchman with a particular charasteristic, a bond girl killed by the villain, big emphasys on gadgets as mentioned before and more ironical speaking giving it a comical touch. One of the most famous scenes in the whole James Bond series without any doubt. Also described as the best golf scene ever in movies. In this movie, the golf is very important both for the plot and for tha characters development. If you want to feel a little bit like Sean Connery in the movie, we recreated the Burgundy Legend Jumper, with the same design that the movie. Do you like the jumper but you want it in other color? Visit our jumpers shop to find more models. We let you with the whole golf scene, enjoy it!